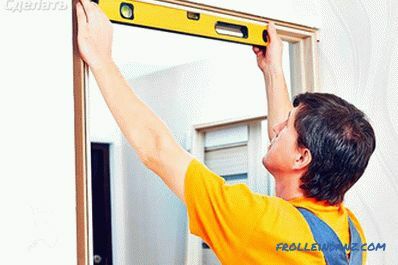 Installing interior doors is not as difficult as it may seem at first glance. 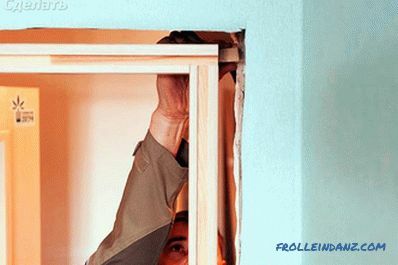 If the master has at least a little experience with doors, then this is a big plus. The only thing that is better to entrust a specialist - it is a sidebar fittings. Incorrectly installed hardware can ruin the whole result. 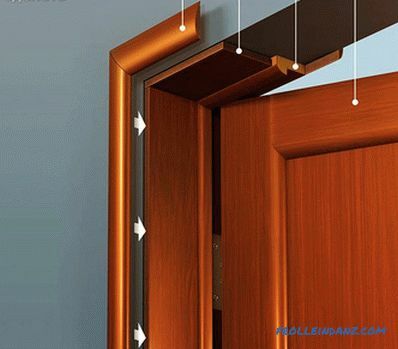 Technology of installation of interior doors simple enough. However, before starting work, there is one crucial stage that cannot be skipped. This is the door selection stage. The end result largely depends on how responsibly the choice is made. The first thing to do is bypass the shops. Do not take the first available option. If we are talking about online stores, here we must carefully check the characteristics of structures. The door leaf should fit the box perfectly in size. 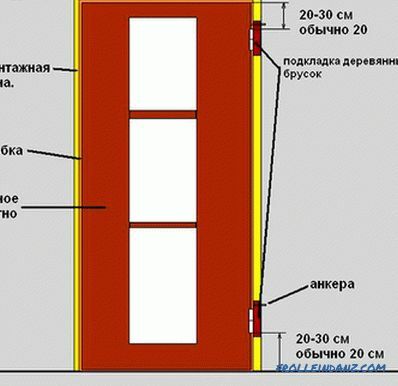 All the characteristics of the door must be known in advance. Without measurements here is not enough. Sometimes very cheap options appear in stores. After purchase, the owner may find that the box or accessories are not included in the configuration. We have to spend time and pick up the remaining parts. It is not always possible to do this correctly. Therefore, do not look at too cheap door designs. As a last resort, it is necessary to preliminarily clarify the presence in the kit of certain parts. When door purchased, you can get to work. At the first stage collect the box. Assembling the box is a simple process. The only thing you need to remember is that you need to retract the stand boxes to set the gap between the door leaf and the floor. For ordinary apartments, the gap is set to about 10 mm. After the gap is set, the racks are connected using self-tapping screws. 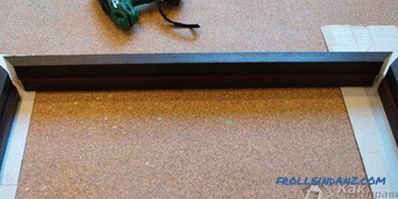 After assembly, the stage of installation of the box in the opening begins. 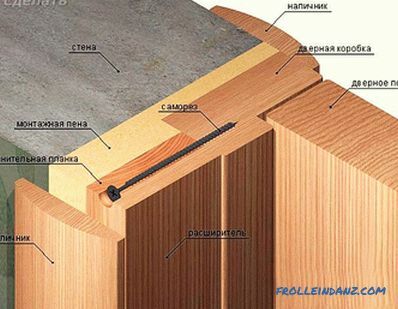 It is desirable that the opening be pretreated. 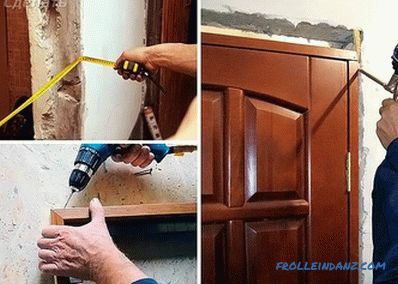 To do this, check the vertical walls, as well as the height and width of the opening. The box is fixed in the opening with wedges at the top and bottom. 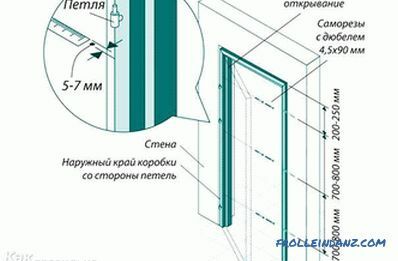 First, the door should be fixed with wedges from the bottom, before this checking the level of the position of the structure in two dimensions. 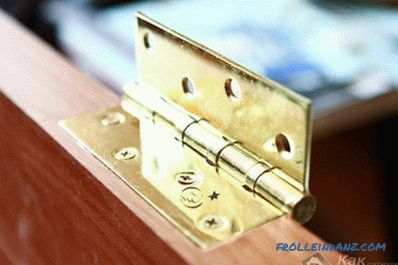 The average clearance between the box and the opening on all sides should be about 10 mm. Door leaf hinged on hinges. The box at this time is fixed only with struts and wedges. 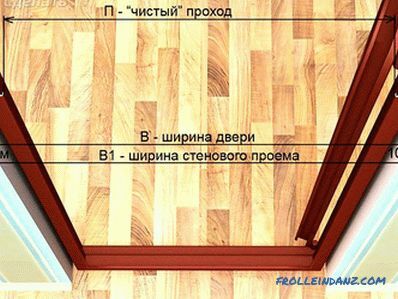 Do not fool the door frame before hanging the door. The fact is that we still have to make sure that the door itself will not open in this position. After the canvas is hung, you can fill in the gap between the box and the opening. Care must be taken to ensure that foam does not hit the surface of the door. 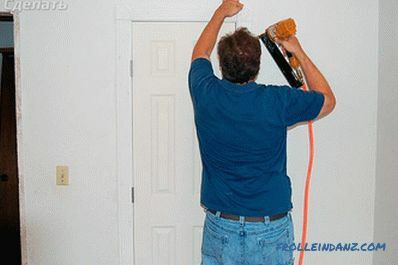 The composition of the foam can easily damage the surface, so you should work carefully. Now we need to install the additional element. The additional bar is measured to the size of the distance from the edge of the box to the edge of the wall. 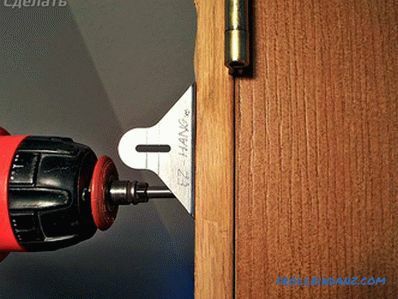 With a hacksaw, it is cut around the edge. 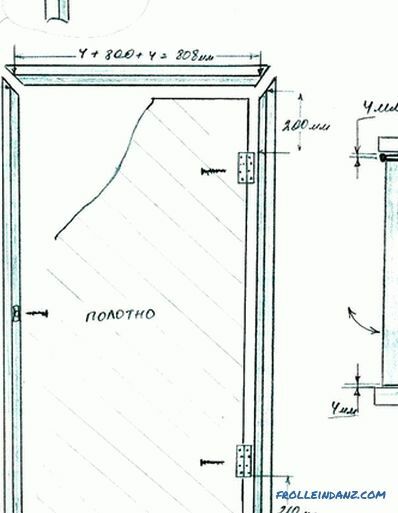 The doborny element is mounted in a groove and foamed. Zaining is done at several points. After the additional element installed, you must wait for the foam to dry. When working with assembly foam, you should remember about its expansion property. The substance should always be applied in doses. The next stage after the installation of the striker plate is the trim. 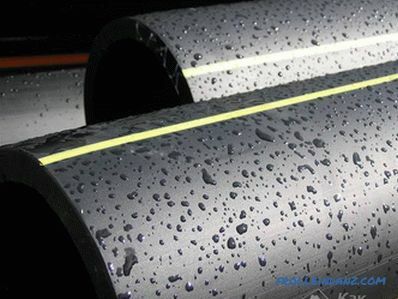 To install the platbands, you need to determine their size. After that, the rims are cut with a hacksaw. 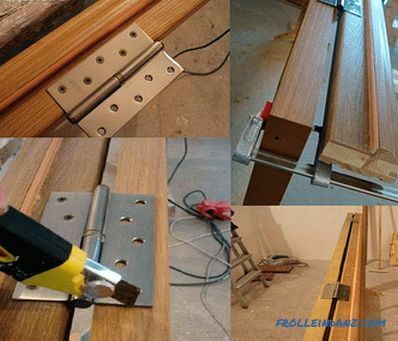 The holes for the nails are drilled. If the bezel is “with a beak”, then it is attached to liquid nails. Sawing it is not necessary. 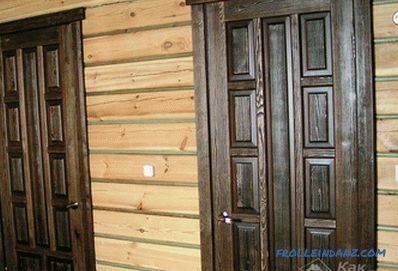 Today, you can find doors made of natural wood, glass, plastic, metal and composites in stores. Also found mixed designs. 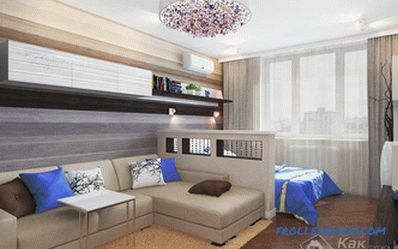 Usually the choice is made taking into account the design of the room and this is the right approach. However, it is necessary to consider all the main varieties of these structures in order to know their advantages and weak points, as well as the subtleties of care. Paneled hardwood. 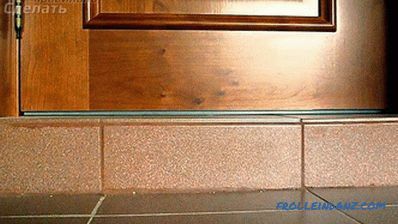 Such designs are very durable and prestigious. In addition, they are very expensive. The most common panel doors are made of oak and walnut. Constructions are made either with the use of glue or without it. The latter type is the most durable. 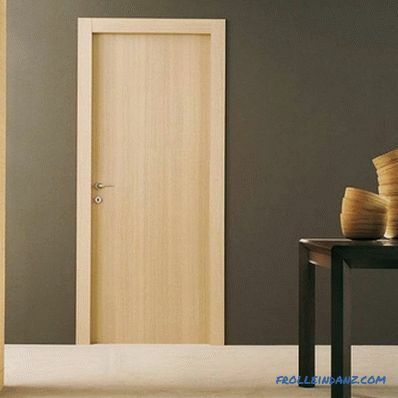 Care of such a door is necessary, as well as for any natural surfaces. 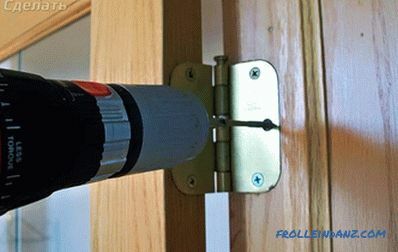 The door must be protected from moisture and high temperatures. It is recommended to wipe them with a napkin. The use of abrasives is prohibited. Paneled soft wood. 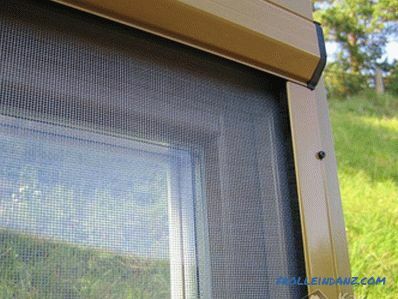 Ideal for summer houses and cottages. In ordinary apartments such doors do not look very appropriate. They are more suitable for country style. 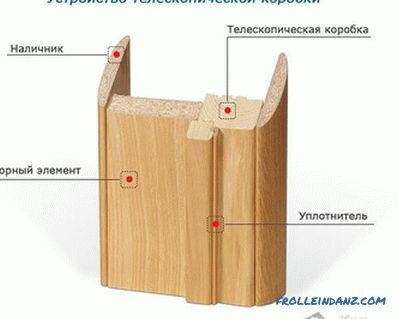 Care for such structures is the same as for the doors of hardwood. 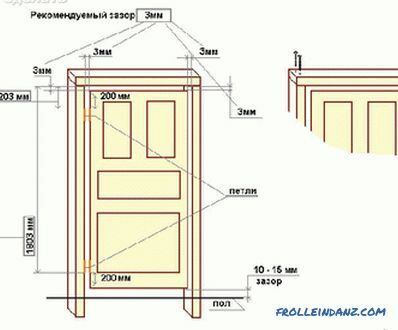 Filed combined doors. These designs are made of veneer. They contain little valuable wood. 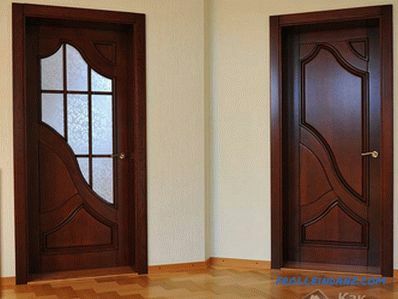 Therefore, these doors are quite inexpensive. 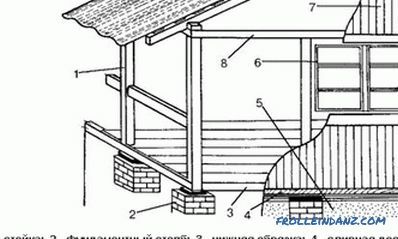 Their lifespan, however, is less than that of solid wood structures. However, they can stand for about 50 years, which is also very good. 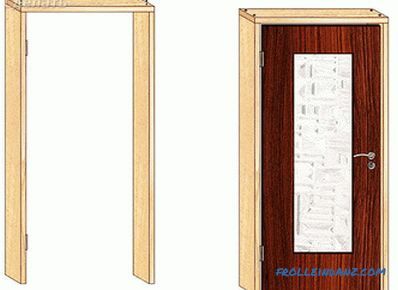 Special care for veneered doors is not required, it is their advantage. Panel structures. 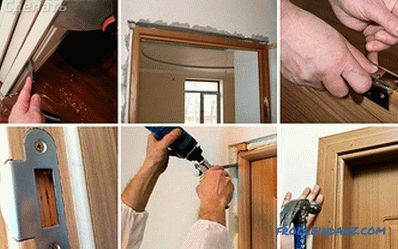 The dignity of panel doors is that they are inexpensive, do not require special care, are easily replaceable, and have a presentable appearance. In addition, they are well decorated and fit any interior. About 85-90% of all doors are shield. This design can be glazed, decorated with natural veneer or artificial materials. 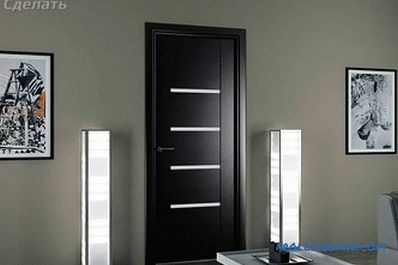 Flush doors - the best option for most apartments and offices.